Chile nailed Spain at the Maracana today after beating the World Champions 2-0. The defending world champions are still without a point at the World cup as they lost their first game to Holland 5-1. 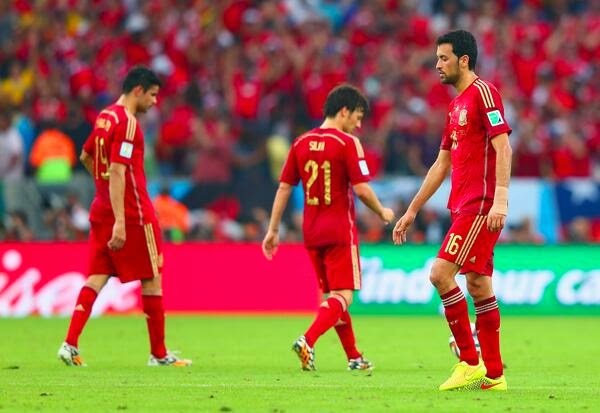 Spain are out of the world cup as well as Australia. Holland and Chile will play for the number one spot of the group.